The Raegan Nightstand features lavish floral carved design and elegant brushed gold accents. Its generous top surface provides ample room to decorate while spacious lower drawers with elegant round handles provide generous room to organize. 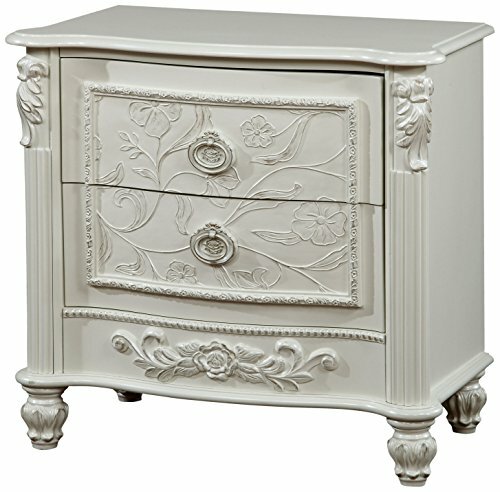 Distinguished by its sophisticated Off-White finish, the Raegan Nightstand creates a cheery and lavish bedroom style.